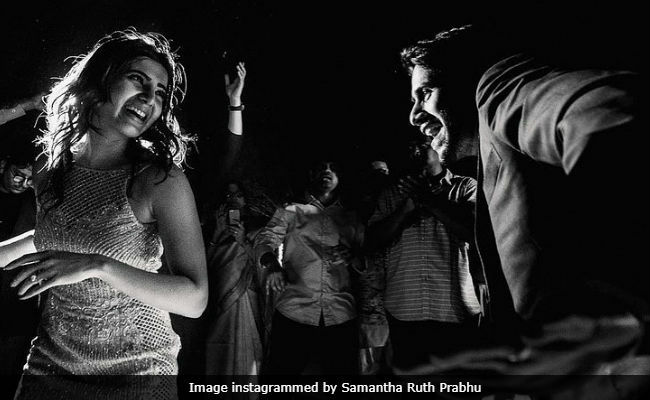 Actors Samantha Ruth Prabhu and Naga Chaitanya are all set to get married today and no one can keep calm. Naturally, Samantha and Naga Chaitanya have topped the Friday's trends list and may just hang around there for the entire day. Samantha and Naga Chaitanya first co-starred in Ye Maaya Chesave in 2014. Recently, Samantha posted a picture of gift, which the Internet thinks was sent by Naga Chaitanya, which had the film's name embossed on a picture of the actor couple. As Samantha and Naga Chaitanya's families get started with the wedding rituals, we put together a list things we know about the high profile wedding. "I do" and "I do, again": The wedding celebrations which start today are expected to go on till at least October 8, when Samantha and Naga Chaitanya will exchange the wedding vows as per Christian rituals. Both the wedding ceremonies, planned in Goa, will be attended by close friends and family. There will be a reception for the newly-weds in Hyderabad but the date hasn't been decided yet because of Samantha and Naga Chaitanya's work commitments. Just a simple wedding worth 10 crore: Naga Chaitanya's father Nagarjuna Akkineni recently told Deccan Chronicle that the guest list has some 100 names on it. "With Rama Naidu garu's (Naga Chaitanya's maternal grandfather) and our family, it's hardly 100 members. It's not a lavish wedding, it is the most simple one." A Times Of India report added that the 'simple wedding' may cost Rs 10 crore. Honeymoon: Naga Chaitanya and Samantha Ruth Prabhu are busy actors. They've taken time out for their wedding but their honeymoon will have to wait till the end of the year. Samantha told Mumbai Mirror: "We will fly out of the country for Christmas and New Year's Eve. We don't have the time now." Films and more: Samantha Ruth Prabhu's first film to release after her wedding will also feature with her father-in-law-to-be Nagarjuna. In Raju Gari Gadhi 2, she plays the role of a ghost. Nagarjuna told IANS that he did not recommend Samantha for the role: "In fact, I didn't want to see her play a ghost right before marriage." Well, it happening anyway and the film's releasing on October 13. Congratulations, Naga Chaitanya and Samantha.